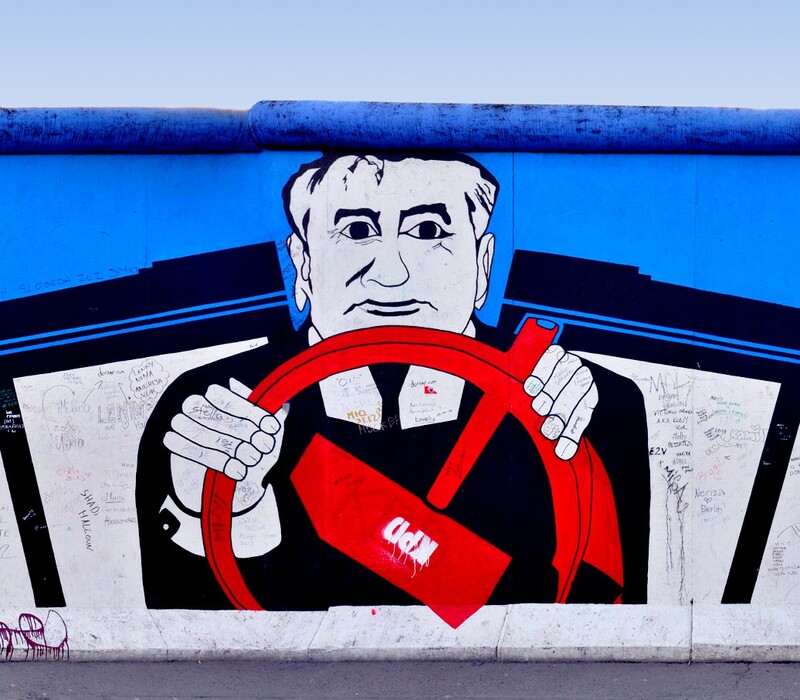 The East Side Gallery is a 1.3 km long open air gallery on parts of the former Berlin Wall. 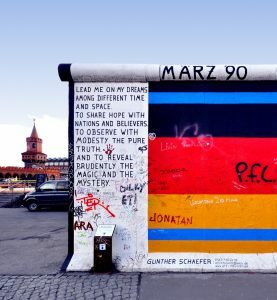 It is located in Berlin Friedrichshain along the Muehlenstrasse between Oberbaumbruecke and Berlin Ostbahnhof parallel to the river Spree. 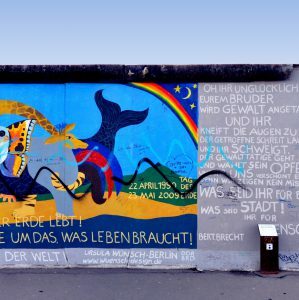 Actually the painted wall is an interior wall (Hinterlandmauer) on eastern side, the real Wall to the west was situated on the other side of the Spree in Kreuzberg. The artworks were created in 1990 after the artists associations of the GDR and the FRG united and declared the East Side Gallery their first pan-german art project. 118 artists from 21 countries took part in the project. In 2009 the gallery was completely restored after the paintings and the wall were damaged by time and graffiti. 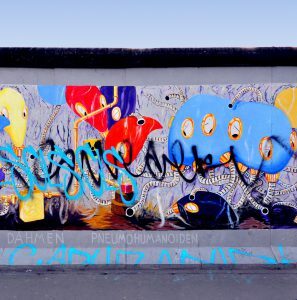 This section is located close to the Oberbaumbrücke and was documented in april 2013. 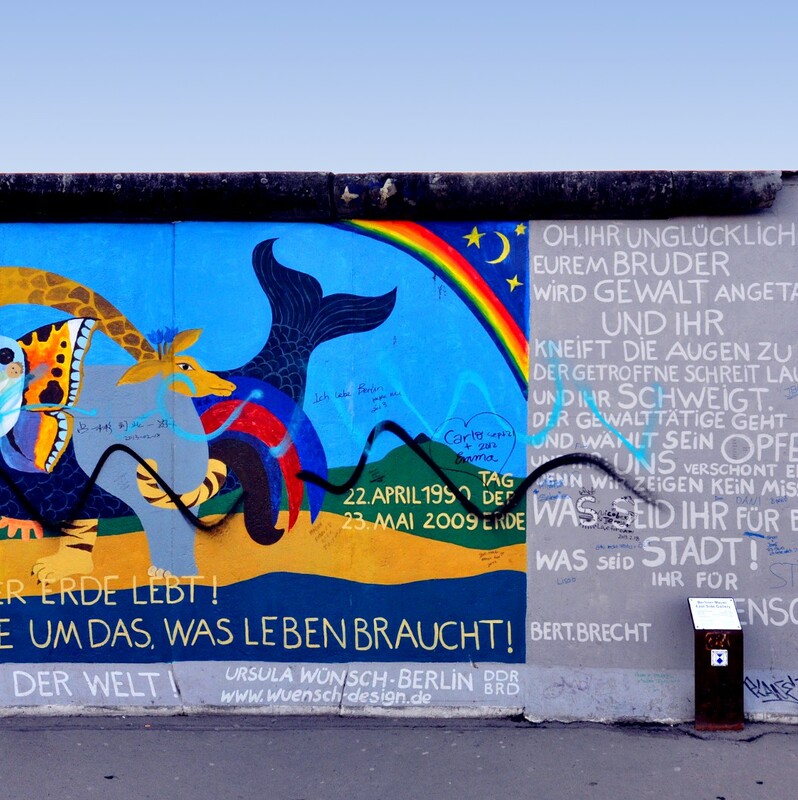 However the whole East Side Gallery has been documented, so further sections can be worked into linear panorama images. Our Thanks go to the artists involved since 1990. 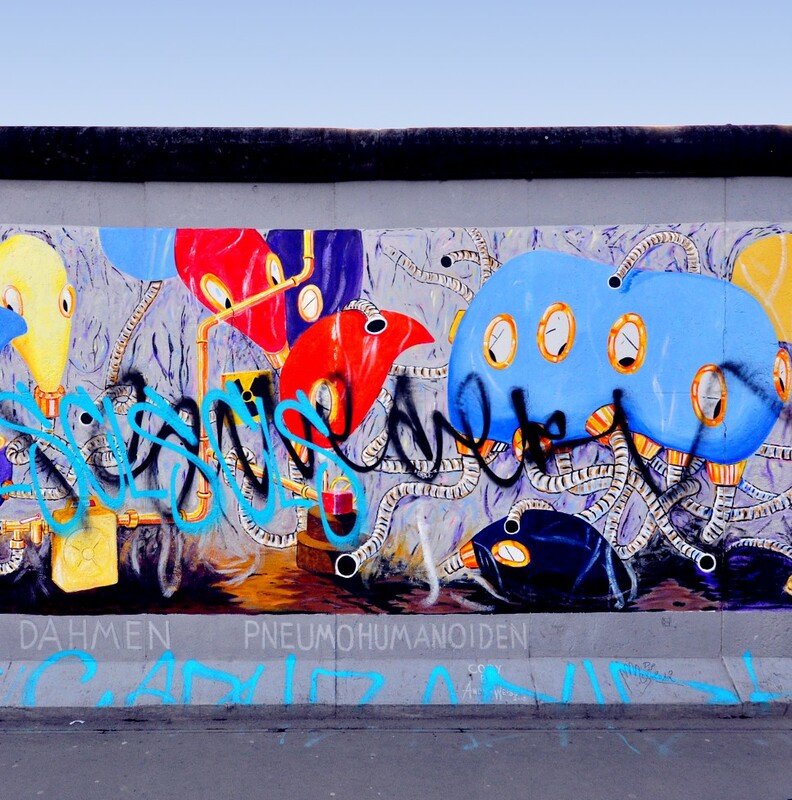 The artist initiative East Side Gallery is fighting for the preservation of the gallery and offers themed guided tours to interested visitors.